Explore, Learn, Have Fun! 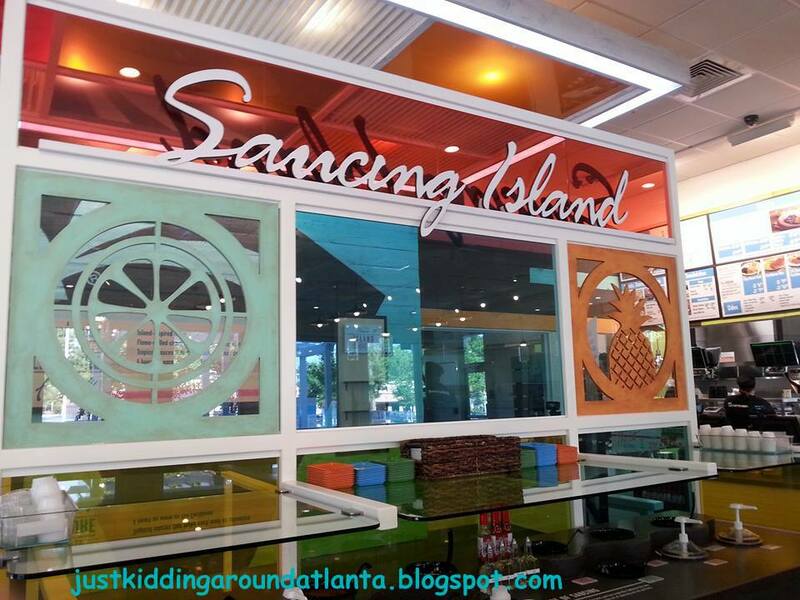 : Atlanta-area Pollo Tropical openings! 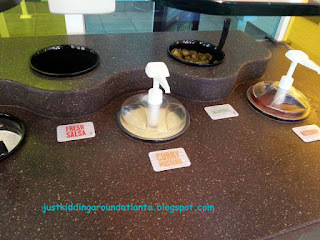 Earlier this year we tried Pollo Tropical for the first time and WOW did we ever love their fresh, tasty food! I'm really happy to share that the new location in Buford, by the Mall of Georgia ( 3385 Buford Drive) has opened and it is fabulous! The Marietta location opens Sept. 2 at 680 Johnson Ferry Road, with a grand opening celebration from 9 a.m. to 7 p.m. on Sept. 4. Grand opening celebrations will feature calypso bands and spin-and-win prizes, and an interactive charity challenge where contestants will compete for first- and second-place prizes of $500 and $300 to go to their favorite charity. The first 100 guests at the festivities will be entered into a raffle for the grand prize of Free Chicken for a Year* and receive a free meal coupon, redeemable on a future visit. Pollo Tropical’s menu centers on its signature flame-grilled chicken and also includes Mojo Roast Pork, Grilled Tropical Wings and made-from-scratch sides like rice, beans, Caribbean corn souffle and balsamic tomatoes. 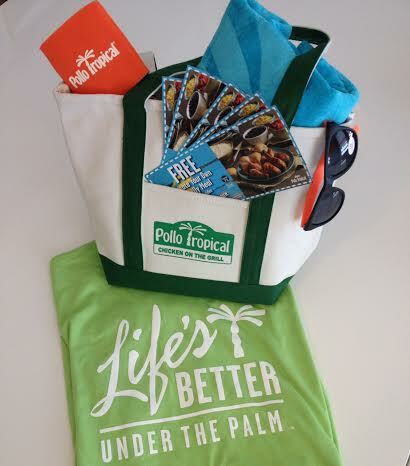 The Tropical Lite menu offers tasty, lighter options that range from 340 to 510 calories and are built around the core Caribbean flavors of the Pollo Tropical menu. At Pollo Tropical, savory island spices, herbs and citrus juices are blended into rubs and marinades that enhance the flavors of its fresh dishes. 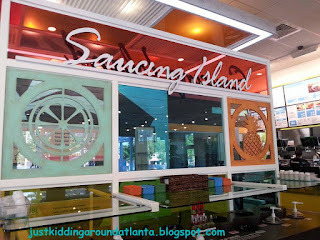 The famous Saucing Island® brings on the flavor – and a little heat – with 10 signature sauces including Curry Mustard, Guava BBQ, Pineapple Rum, Cilantro Garlic and Spicy Poyo-Poyo. To complement its menu, Pollo Tropical also offers a variety of island-inspired beverages, ranging from Caribbean beers to coconut water. The 3,400-square-foot restaurants will be open from 10:30 a.m. to midnight daily, and will feature indoor and outdoor seating for more than 90 guests, with limited table service and a convenient drive-thru. 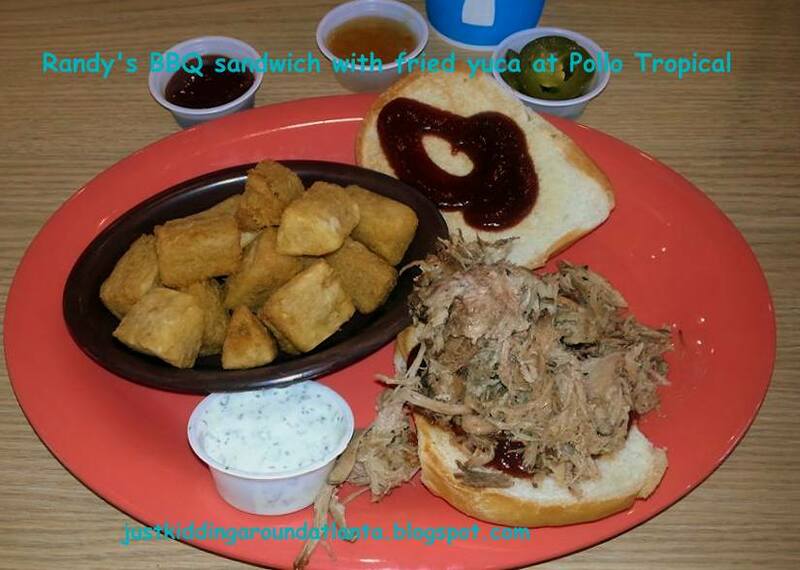 Guests can receive a coupon for either a buy one, get one free small TropiChop® or $3 off a family meal by signing up for the Pollo Reward$® loyalty program. My family and I had lunch at the Buford location over the weekend and it was so delicious. Everything is fresh and a nice change from the usual restaurant fare around here! I had the chicken, bacon, avocado wrap with Caribbean corn souffle. 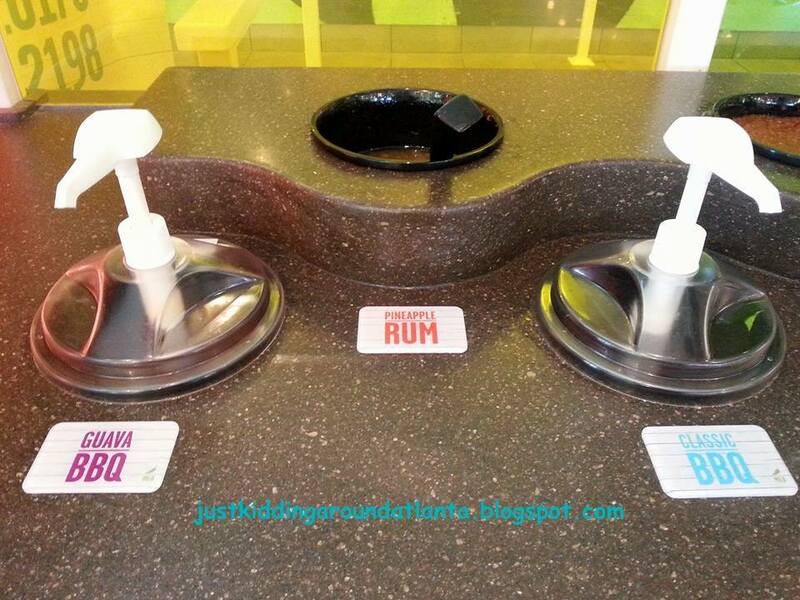 I tried their BBQ sauce and also added some of my favorite, the Pineapple Rum sauce. To. die. for!! While I'm talking about sauces, here is their awesome sauce bar! 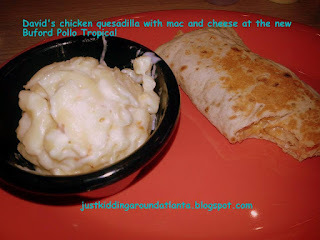 David tried a Chicken Quesadilla wrap with mac and cheese as his side. He added Curry Mustard sauce to his wrap and proclaimed it delish! My husband had their BBQ pork sandwich with fried yuca as his side. 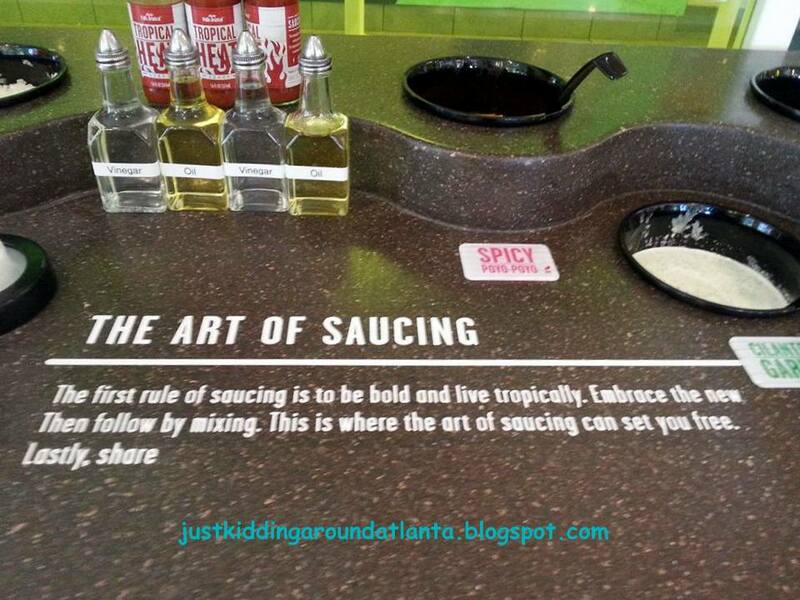 He tried several sauces and peppers with his. I also made sure to take a few pictures of the new restaurant in Buford - it makes you feel like you are close to the beach! The tropical colors and light, airy space make a wonderful getaway for a fast lunch or dinner. I'm loving the mason jar lights! 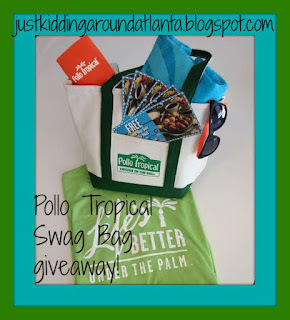 To celebrate the three new locations in Atlanta, Pollo Tropical wants to give one of you a Pollo Tropical swag bag with coupons! I also have a few coupons from the grand opening to give away, so there will be a couple of winners for those, as well! Enter via the Rafflecopter widget below for your chance to win. Good luck! 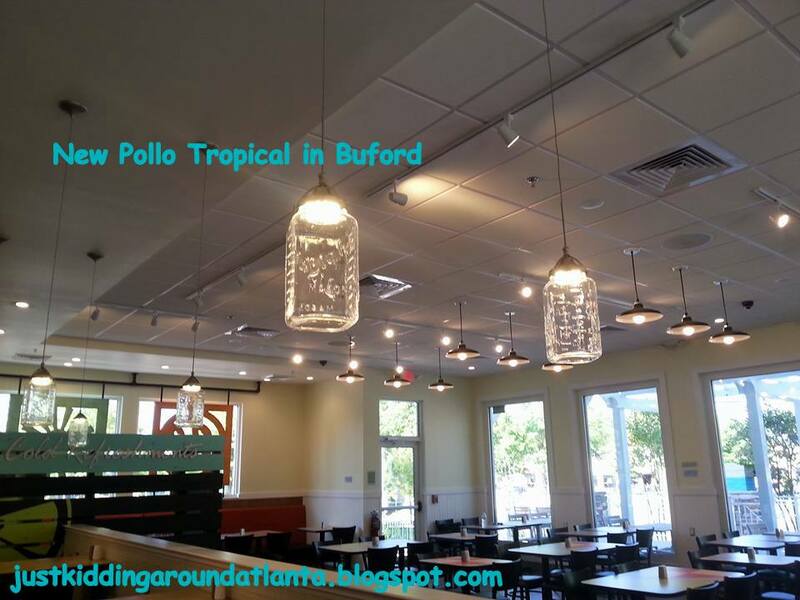 Pollo Tropical invited us to enjoy a meal at the Buford location, and they provided the prizes for this giveaway. All opinions shared are my own. No other compensation was provided. Awww! Hope they will open some in California soon - they have amazing food! The food and atmosphere look wonderful!! 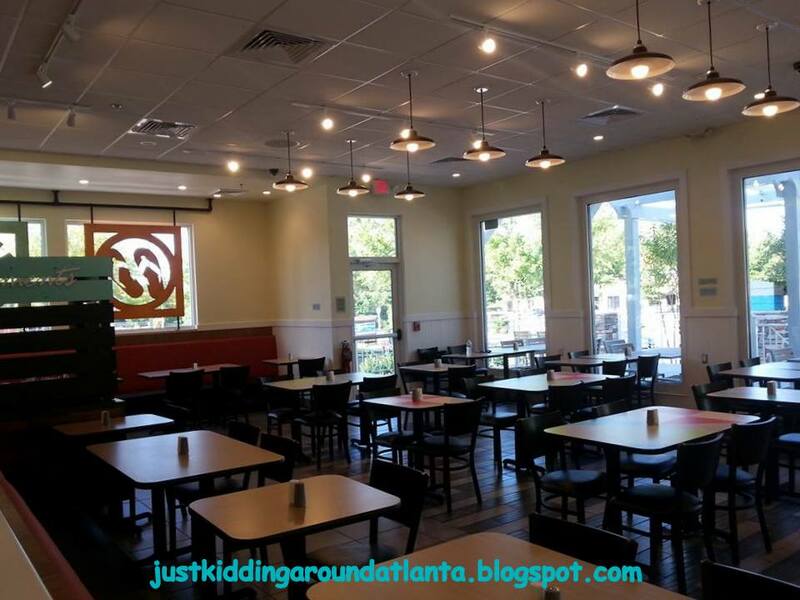 Can't wait to try the Buford location soon! The closest to my home is Archer Road in Gainesville, Fl. My son is a college student at UF, so that would be perfect for him. There is one in Ft. Myers next to us..we go all the time! The closest one to me is in Tallahassee. We would go to the Woodstock location! 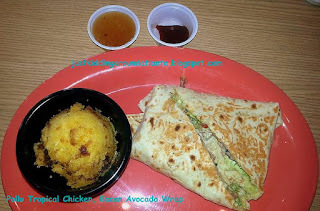 I have a Pollo Tropical less than two miles for my home, Love the food so yummy!